Poland really knows how to celebrate its composers. Anniversary celebrations, for everybody from Chopin to Panufnik, are typically marked with concerts of their music around the world, academic publications, and major recording projects, all lavishly subsidized by the state. And given the extraordinary talents that have emerged from the country in the last half century or so, the global music community is all the better off for it, even if it leaves many of us non-Poles with a distinct feeling of resentment that our own governments don’t promote or foster native talent in the same way. It could be argued that Witold Lutosławski doesn’t need this kind of treatment. He certainly became a global new-music presence in the last few decades of his life, and major artists and record labels have ensured that his greatest works have had the exposure they deserve. Even so, there are always forgotten corners to any great composer’s catalog that warrant investigation. This, presumably, was the motivation behind the Witold Lutosławski Opera Omina series, instigated in his centenary year. This release is the fourth in the cycle, and if it is representative, then the whole enterprise looks very promising. Stanisław Skrowaczewski is an interesting choice of conductor and, as it turns out, a good one. Given the amount of impulsive energy and youthful zest behind these early works, his age might seem to count against him—he was 89 when these recordings were made. On the other hand, Skrowaczewski is more or less of Lutosławski’s generation, and the two men knew each other well, even though Skrowaczewski has spent most of his career abroad. His obvious affinity with this music fits into a pattern that he has established in his recent recordings, giving interpretations—mostly of core repertoire—that speak of intelligence, engagement, and emotional commitment. He’s not the most physically active conductor on the podium these days (understandably), yet he is still able to give the music all the energy and life it needs. It is a combination that results in exceptional Bruckner, slightly idiosyncratic but still compelling Brahms, and Beethoven that seems completely reinvented through a long lifetime’s engagement. So what about Lutosławski? The one over-riding impression that these live performances give is of a conductor and orchestra seeking to emphasize the profundity and importance of the music. Which isn’t to say that anything here is stuffy or reverential, but it is undoubtedly “symphonic” in every respect. 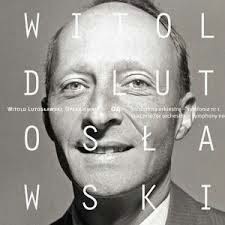 Textures are always full, yet the many details of Lutosławski’s inventive orchestration are meticulously observed. Even when the tempos are fast, as in the Capriccio movement of the concerto for orchestra, nothing is ever throwaway. The competition with the concerto for orchestra is fierce, and there is no point in arguing that this is the finest available. (On a Polish radio program last year, a panel of experts listened blind to all the available recordings and came down in favor of Edward Gardner’s Chandos version, a verdict I’ll happily endorse.) But Skrowaczewski’s is a reading brimming with musical intelligence. Everything is finely wrought, and everything happens for a reason. His tempos are agile and fluid, and he can bring a real sense of weight when required (at the opening for instance) and a sense of lightness when that is called for (such as in the second movement). The First Symphony is represented by fewer recordings, and is widely seen as a lesser work. In fact, the liner notes tell us that Skrowaczewski himself tried to persuade the composer to withdraw it soon after its premiere. Perhaps it lacks the formal coherence of the concerto, but it’s just as inventive, with that continual sense of spontaneity that keeps Lutosławski’s music so engaging. Again, Skrowaczewski gives an interpretation that is excellent on its own terms, but that doesn’t quite match the best available, and I suspect consensus here would point to Esa-Pekka Salonen’s version with the Los Angeles Philharmonic. The NFM Wrocław Philharmonic sounds like a world-class ensemble in the concerto, but this may be down to sheer familiarity with the work. In the First Symphony they don’t have that advantage, and while it is still a good performance, the clarity of texture that Lutosławski’s music relies isn’t so apparent. There are many good aspects to the orchestral playing though, especially the dark, rich tone of the lower strings. That seems to benefit particularly from the sound engineering, which, presumably in an attempt to create a realistic soundstage, brings the strings close but recesses the winds and percussion to a fault. Minor quibbles only, though, and the recording is recommended nonetheless. Fans of Skrowaczewski will certainly want it for the distinctive readings he gives. (I’m looking forward to the day when the Polish musical establishment puts its resources behind a celebration of Skrowaczewski’s compositions; it can only be a matter of time.) One other major selling point is the packaging and accompanying literature. The slipcase arrangement is attractive indeed, and the accompanying booklet it contains includes a fascinating essay by Rafał Augustyn, which addresses the vexed issue of the folksong sources for the concerto for orchestra. It is lavishly illustrated with musical examples from the compendium the composer originally consulted. These may not be the only recordings of the two works available, nor are they the best, but they are still very good, and if the series continues to maintain these production values, it may earn an authoritative status, irrespective of the competition. The Weinberg revival continues apace. This is the ninth release in cpo’s Weinberg chamber music series, which is appearing in parallel with a symphony cycle on Chandos, several new reissues on Melodiya, and an extensive range of Weinberg recordings on Naxos (any others I’ve missed?). 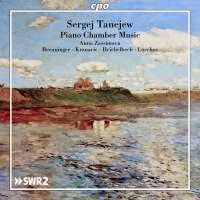 In fact, the narrative of neglect and revival is becoming increasingly anachronistic: All of the works presented here deserve a wider audience, but none is a first recording, and the Piano Trio at least already has something of a presence in the repertoire. But what is becoming clear from the increased exposure is that the quality and inspiration of the Weinberg’s music is variable. His advocates have long promoted every note that he wrote, but, as with almost all extremely industrious composers, his greatest works stand out, and many of his others deserve their obscurity. Thankfully, all three of the pieces presented here are from the top drawer. The Piano Trio must rank as one of Weinberg’s greatest chamber works, the Violin Sonatina is less ambitious but no less successful, and the Double Bass Sonata is much more than a novelty filler, its music of staggering sophistication and subtlety. Appreciation of Weinberg’s music seems to be increasingly constrained by the comparisons often made to Shostakovich. Nevertheless, the Piano Trio actively invites such parallels. It was written in 1945, and wartime memories loom large across its four movements. There is a Shostakovich-like intensity to the first two movements, in the continually oppressive textures of the first and the maniacal, ostinato-driven 5/4 of the second. But then the work gradually winds down across its longer third and fourth movements to a quiet but uneasy resolution at the end. The Sonatina for Violin and Piano was written soon after, in 1946. Its textures are lighter, more melody focused, yet there remains a dark psychology at work here. The music seems throughout to be striving for resolution or equilibrium, yet its meandering melodic lines keep sending it off course in unexpected directions. All of this contrasts its seemingly traditional three movement structure, as if the formal organisation is itself an image of the order and balance to which the music aspires, yet can never seem to achieve. The Sonata for Solo Double Bass is a much later work, from the 1970s, when Weinberg was writing sonatas for a range of unusual solo instruments. The sonata is structured more like a suite, in six short and contrasting movements. The surprise here is the sheer diversity of ideas and textures that the composer is able to elicit from such an apparently unpromising solo instrument. And there is never any sense of the composer working against the instrument’s constraints, but rather exploiting the potential that he finds. For example, the lower registers are sometimes used to create dour, morbid sounds, but at other times provide a sprightly bass resonance to punctuate faster passages. And much of this music is very fast. It never sounds as if it is pushing against the technical limitations of the instrument, but this must by as much a result of Nabil Shehata’s virtuosity as it is of Weinberg’s idiomatic writing. The performances are excellent throughout. Pianist and series curator Elisaveta Blumina gives a muscular and focussed lead in the trio and a sensitive accompaniment in the sonatina. The sound engineering is also excellent, but the string players need have no fear of the detailed scrutiny to which it subjects them. Weinberg’s string writing ranges from the Romantic and impassioned to the direct and heartfelt (though I wouldn’t say naive), and the performers present it with an appropriate range of expression, while always maintaining impeccable tuning and ensemble. 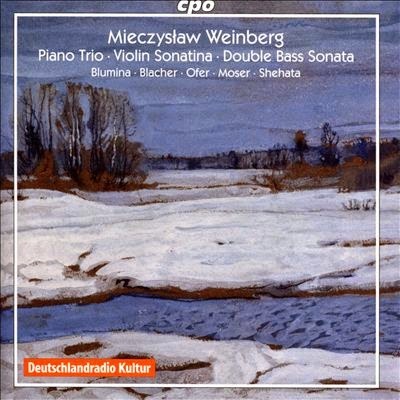 An impressive release all round, warmly recommended, even to Weinberg sceptics: the piano trio, especially in this performance, might just win you round.